So Joseph Kosinski — what’s the guy’s current relationship status with Disney? Likely, “it’s complicated,” but a lot less complicated than you would think. 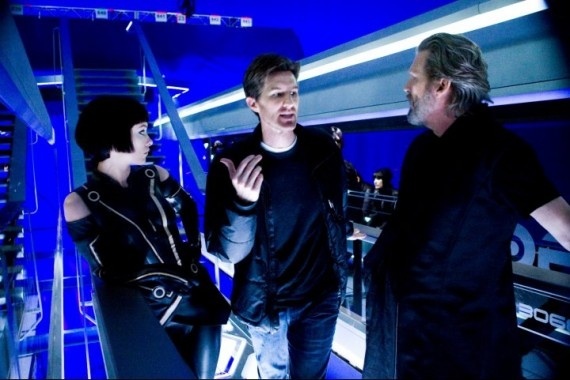 His first film “Tron: Legacy,” at the cusp of $400 million worldwide, has become the highest-grossing debut film for any director in history (narrowly beating out Abbas Kiarostami and Manoel del Oliveira for the title). But his next project, “Horizons,” was turned down by the Mouse House, leaving the ambitious sci-fi project without a home. While Kosinski is free to shop “Horizons” around town, no official reason was given for why Disney said no. “Horizons” is said to be generating interest from three studios, in particular the genre-friendly Universal, though those could be tenuous negotiations considering how gun–shy Universal has been lately. Still, the material is meant to be an expensive and completely original tentpole property from Kosinski himself, drawing from his own graphic novel “Oblivion” which doesn’t see a release until this summer. It’s no surprise financiers would be reluctant to back the project. Reportedly, Tom Cruise has been interested in possibly taking a lead role in the film, but as Guillermo del Toro will tell you, Cruise’s involvement plus $2.50 will get you a ride on the subway. Curious that Kosinski considers the need for a lot of pieces to fall into place before a pitch happens. If a studio wants to sequelize your film, they don’t wait until the Blu-Ray has been “out for awhile.” And the much touted ‘Tron’ TV series doesn’t debut until 2012, which means if everything breaks right, Kosinski pitches “Tr3n” or whatever it’s called to Disney with an eye towards shooting in early 2013. So given the extensive production required for this type of film, unless the film’s a rush job (entirely possible), it could be five years between “Tron: Legacy” and the release of a sequel. Which begs the question: is there an audience for another ‘Tron’? Deadline correctly points out that Kosinski’s debut film outgrossed similar franchise re-starters like “Batman Begins” and “Star Trek.” But at what cost? Disney was up front about production and marketing placing the “Tron: Legacy” cost at $320 million, but does that include the Pixar-mandated reshoots and last-minute marketing blitz needed to get this film out there? If the cost was truly $320 million, then they would have likely needed to approach $600 million worldwide to sniff theatrical profit, and that didn’t happen. But “Tron: Legacy” is the perfect definition of the New Blockbuster. To Disney, the $320 million spent on “Tron: Legacy” is cash thrown towards an ancillary. The film is part of a multimedia assault, one that includes the multiple Daft Punk soundtrack releases, DVD packaging and repackaging opportunities, video games, toys and the full-court press being given to the star-studded upcoming television show. To be able to say the ‘Tron’ experiment (re-energizing a long-dead brand name over multiple mediums) was a success would be to have access to Disney’s elaborate ‘Tron’ portfolio. The movie and Joseph Kosinski are only small parts of a huge puzzle. Which is a way of saying that in the current blockbuster moviemaking paradigm, the movie doesn’t entirely matter anymore.